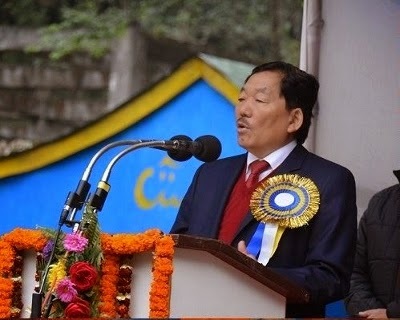 The Gorkhaland Territorial Administration (GTA) is set to felicitate Sikkim Chief Minister and the “Pride of Indian Nepali Community” Dr. Pawan Kumar Chamling for successfully completing 21 years as the Chief Minister of a state in India. The felicitation program will be held on 19th of April, 2015. Dr. Chamling is set to become the longest serving Chief Minister ever in India, if he completes full term. The felicitation will take place on April 19 2015 at 3 P.M at Gorkha Rangmanch Bhawan in Darjeeling.